IT'S WORTH IN EVERY PENNY YOU SPEND FOR YOUR CAMPAIGN! WE DON'T HAVE A "SECRET RECIPE" OR "MAGICAL WORDS TIPS" THAT WILL PUT YOU IN A MAJOR LEAGUE ON THE INTERNET, SIMPLY. 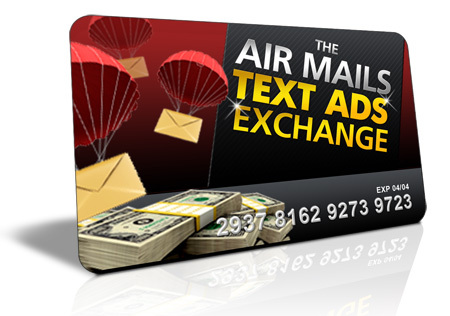 . .
WITH ONE OF THE BEST MAINTAINED LIST MEMBERS OF THE TEXT ADS EXCHANGES, YOUR SITE WILL GET MORE UNIQUE VISITORS. Website with few visitors could hardly last long. We will Delivering high quality web traffic to all of your sites, and We will send your Ads in a timely manner, base on First come First serve. to get more quality web traffic. Cost to Join FREE FREE WITH PROMO CODE $19.50/OneTime $39.00/OneTime If Upgraded from PRO Member. Comissions $2.00 For Diamond Referral in Level 1. 30% Commission For Every Diamond Referral Purchase Ad in Level 1. $4.00 For JV Partner Referral in Level 1. 30% Commission For Every JV Referral Purchase Ad in Level 1. $4.00 For Diamond Referral in Level 1. $6.00 for JV Partner Referral in Level 1. $6.00 For Diamond Referral in Level 1. $10.00 For JV Referral in Level 1. $10.00 for Diamond Referral in Level 1. $15.00 For JV Partner Referral in Level 1. 50% Commission For Every JV Referral Purchase Ad in Level 1. - Pornographic, offensive, racist, hate, discriminatory, defamatory, libellous material is not permitted to be used or created with Our Exchange service. - It is strictly prohibited to use Our Exchange service that includes email capabilities for sending unsolicited email or 'spam'. - It is strictly prohibited to use Our Exchange service to distribute or make available for download copyrighted material without the copyright owner's consent or to provide material containing computer viruses or any other code designed to damage or interrupt the operation of computer software. - It is strictly prohibited to impersonate any person or entity or to misrepresent your affiliation to any person or entity. - Please Do Not Mention : Dollar Text, Dollar ($) sign, in your Solo Ads Subject. 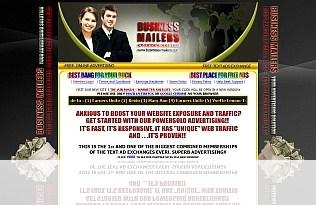 - If you're Not Follow this simply rules, Your Solo Ads Will be Sent Back to You, even worst... Your account will be deleted without confirmation, even you are a Paid Members.